One of the biggest challenges of being a work-at-home mom is finding that ever so delicate balance between work life and home life. For myself, and many other women out there, cooking and cleaning house becomes a never-ending task which depletes our valuable time and energy. To help put the focus back on where it should be, our families, I’ve decided to share with you some of my favorite meals and recipes that can be made in minutes. The focus is to spend less time in the kitchen, and more time with your loved ones. This is my go-to recipe for breakfast on the run, it’s also great for large groups. I originally found this recipe on the picky-palate but modified it just a tad. 1. Preheat oven to 350 degrees and spray a 12 cup muffin tin with non-stick cooking spray. 2. Cut English muffins in half. With a 1 3/4 inch round cookie cutter, cut out two circles from each English muffin half. If you don’t have a small cookie cutter, you could use the rim of a shot glass to form the circles. Place one muffin circle in each muffin tin. 3. 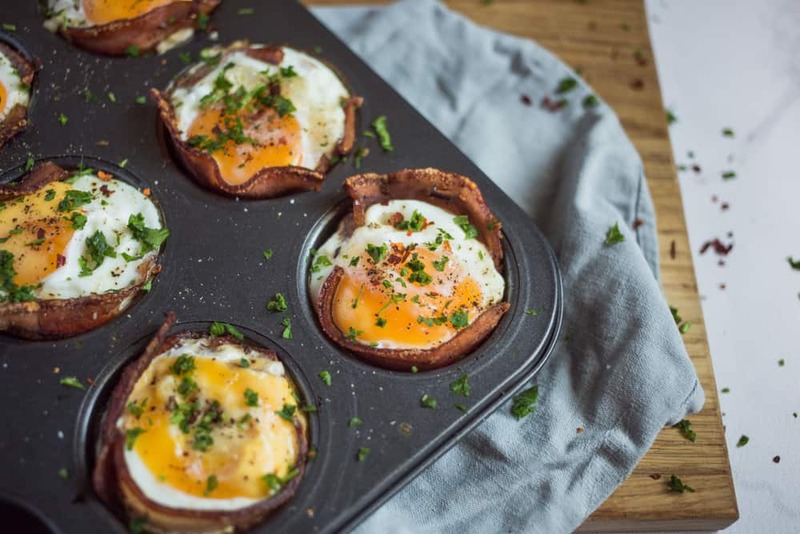 Place bacon around inside rim of muffin tins. 4. Add a small pinch of cheese to each muffin tin. 5. 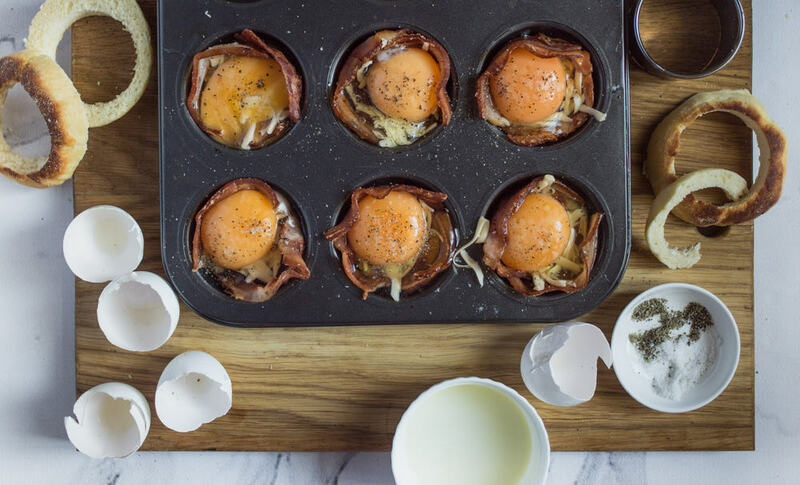 Crack an egg into a glass measuring cup, then add one egg into each muffin tin. Sprinkle with salt and pepper. 6. Bake for 15-20 minutes. Let cool for 5 minutes. I love to make this recipe on Sunday for brunch. I then refrigerate the leftovers and have them for breakfast during the week. They reheat in the microwave nicely. You can even make a double batch on Sunday so that you have enough for the week. I've made this recipe for a large group and they loved it! Be sure to make an extra pan, people will want more than one! 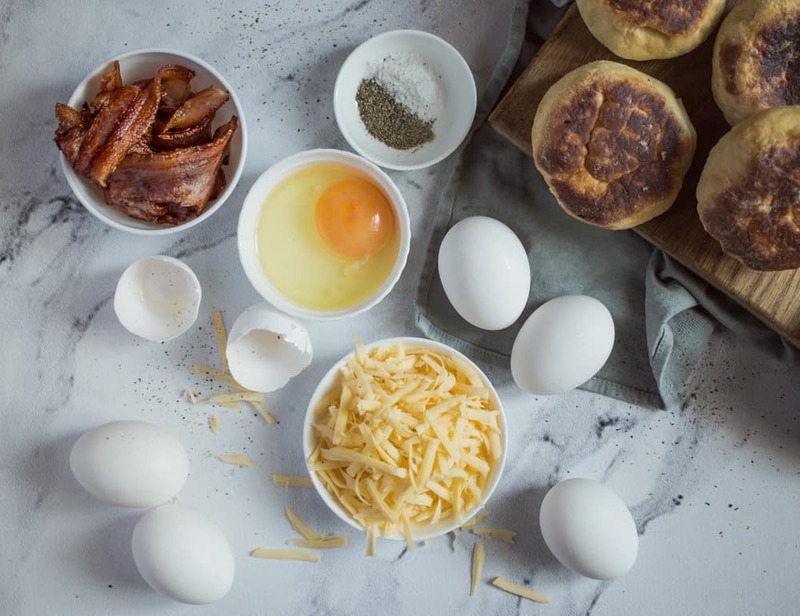 What's your go-to for a quick and easy breakfast? Originally published April 16, 2012. Content updated on September 29, 2017. 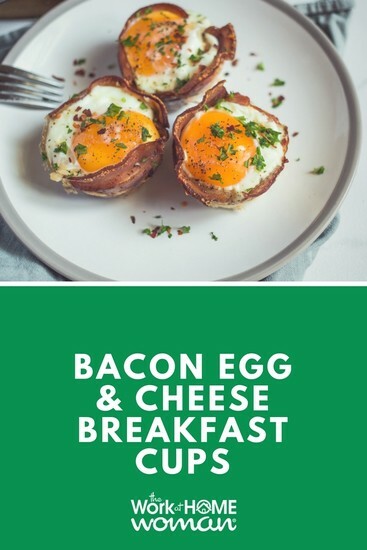 These look so good and so easy to make. Thanks for this amazing and yummy breakfast, :) These shall be my next weekend breakfast for sure! You’re welcome! Let me know how they turn out for you, Nicoli.